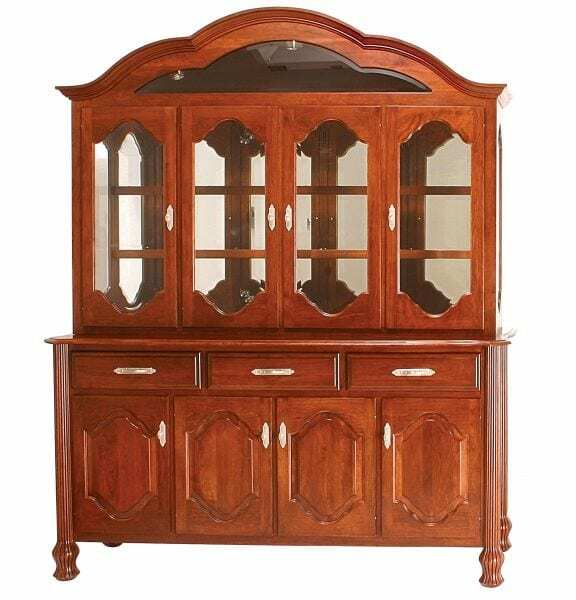 80″ Regal Hutch shown in Cherry. Standard Features: Beveled glass, glass shelf, halogen lights, touch switch, mirror back. Options: Available in 62″ width. Buffet only.